CameroonPostline.com — It took a lot of fortitude and stamina for Duncan, 63, to reassert himself, once more, as the Mayor of Limbe II. From First Deputy Mayor under Andrew Motanga in 2007, he rose to become full-fledged Mayor when Motanga was appointed Government Delegate to the Limbe Council in February 2009. But after his four-year stint as Mayor of Limbe II, Duncan found his Mayoral seat seriously threatened as several other militants started nursing ambitions to topple him. Amongst them was Felix Dieudonne Seppoh who, loaded with enough cash, was ready to unseat Duncan. Given his long years in the field of Limbe politics, Duncan Molindo, on Wednesday, October 16, finally prevailed over Seppoh’s dreams of becoming the new Mayor of Limbe II. The Limbe I Municipality is the most populated of the three and is host to several administrative structures of high standing like the SDO of Fako, the CDC Head Office, and the Branch of BEAC Bank for the Southwest among others. The Mayor of this cosmopolitan Municipality certainly wields a lot of power and grandeur. 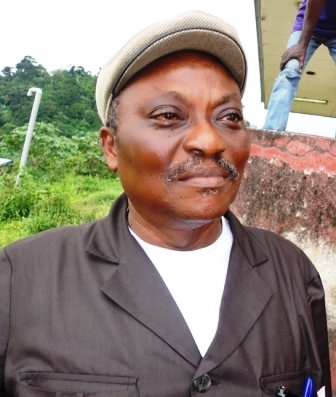 Thus, the battle as to who becomes Mayor of this Municipality became a frenetic tussle between John Manga Williams and the Acting Mayor of Limbe I, Rodanny Mbua. At the end, Rodanny, who had served all through as the First Deputy during Senator Matute’s days as Mayor until April, finally got the confidence of the people, who voted him into office. Monday, October 14, the incumbent Mayor of Limbe III and Member of the CPDM Central Committee, Samuel Mokate Esebou, was, in a party primary, reelected to his position. He was elected with 13 votes as against 12 for Dalle. He then went to sleep convinced that everything had already been done and dusted and it was left just for the final confirmation on Wednesday when the real thing was to happen. But, alas! This was not to be. On Wednesday, October 16, Dalle went into frantic campaigning and overturned the tables on Wednesday, October 16. Results? The votes of Wednesday turned in Dalle’s favour by 13 votes as against 12 for Central Committee Member, Samuel Mokate Esebou. The Post gathered that former Mayor Mokate has been threatening to go to court on grounds that the election was characterised by alleged vote buying. At Idenau, the Section President of the Fako Five Section of the CPDM Party, Gabriel Tonde was the preferred choice to replace the younger brother of the incarcerated Chief of Bakingili and former Prime Minister, Ephraim Inoni. The former Mayor, James Esange Elonge, was not present during the election. The Post gathered that Kelly Esikiel, who was the former Mayor’s First Deputy, was disqualified on grounds that he resides in Limbe II and not in Idenau Municipality.